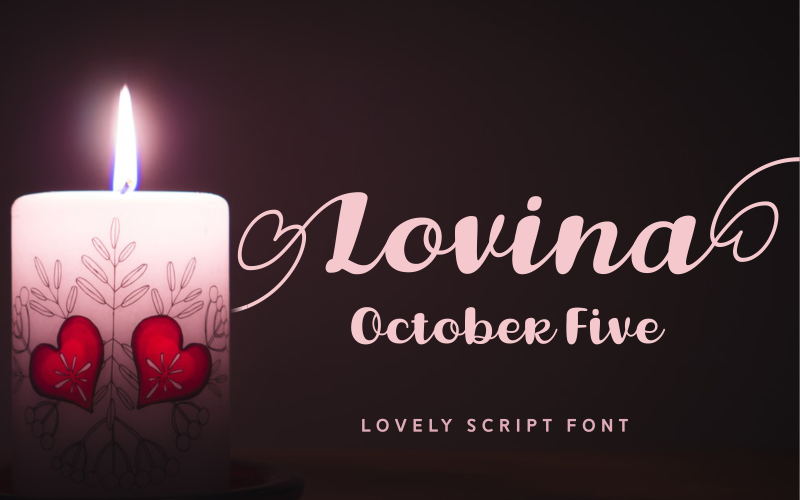 The Lovina October Five is a lovely script font. It has an elegant feel which will show trough in your designs when using it. Its two styles and amazing swashes make the Lovina October Five a truly unique font, suitable for multiple design purposes.